Is There Such A Thing As Ammunition Shelf Life? One might wonder if there is such a thing as ammunition shelf life. It's a good concern to have, as ammunition should only be used if one can rely on it to be safe. Granted, one might opine that if a person keeping sufficient ammunition to worry about expiring is probably not doing enough point shooting! The truth is that ammo shelf life is somewhat relative. Under ideal conditions, ammunition will actually keep for decades - in fact, in the right conditions...ammunition could potentially last longer than that. 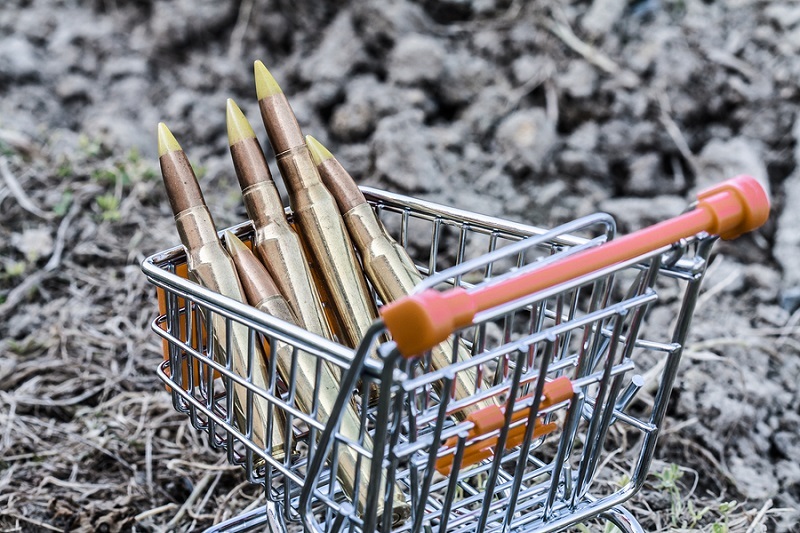 Believe it or not, there are a few things that affect how long ammunition or basically any other non-perishable good that people tend to stockpile, and for that matter, perishable goods as well. Those things are heat, moisture and sunlight. Outside of perishable goods that require refrigeration or freezing, long term storage in a dry, dark and moderate temperature environment will keep a lot of things nearly indefinitely - certain adult beverages (wine cellars are a thing for a reason), canned or jarred goods, and bullets will all keep for an incredibly long time in such storage. With more exacting control over these elements, such as if one uses a humidor or other humidity-controlled containment system, then bullets can last even longer. If stored in a vacuum-sealed container and left in a dark, dry place...it would be good basically forever. That said, how much ammunition that is currently being held by people who have purchased it is being stored in a dark, temperature and humidity controlled container? Not much, in all likelihood; not many people will entertain the idea of having a bullet humidor. Therefore, the shelf life of ammo is relative, namely to how well it's stored by the person who bought it. 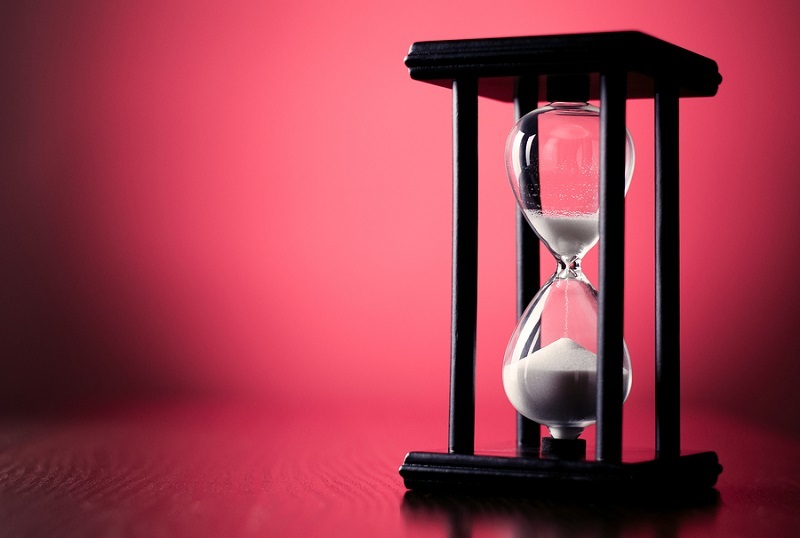 For modern munitions, ammunition shelf life is perfectly sufficient for the average person to keep parcels of ammunition for years, if not decades in all likelihood. So long as the rounds aren't subjected to high heat or moisture, nothing is likely to happen. Most ammo manufacturers advise that their ammunition should be good for ten years. In reality, it will keep longer. How many people keep ammunition for a decade or longer, though? 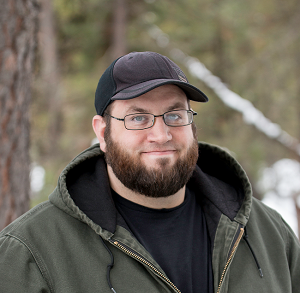 However, the target shooter and concealed carrier is somewhat different than the hunter and outdoorsman. The latter takes to the outdoors and deals with inclement weather, whilst the former might not. In fact, a good deal of self-defense ammo will only be in a magazine or a box. A rifle round or shotgun shell for the big game hunter and fowler can get rained on, momentarily submerged and so on. Water, and more to the point oxygen, has a pesky habit of permeating the molecular bonds of things. Oxygen is kind of like the guy at parties who randomly inserts himself into conversations; it makes things bad for everyone. When oxygen happens to iron, you get iron oxides, one of which - red iron oxide - is rust, and that's just bad. 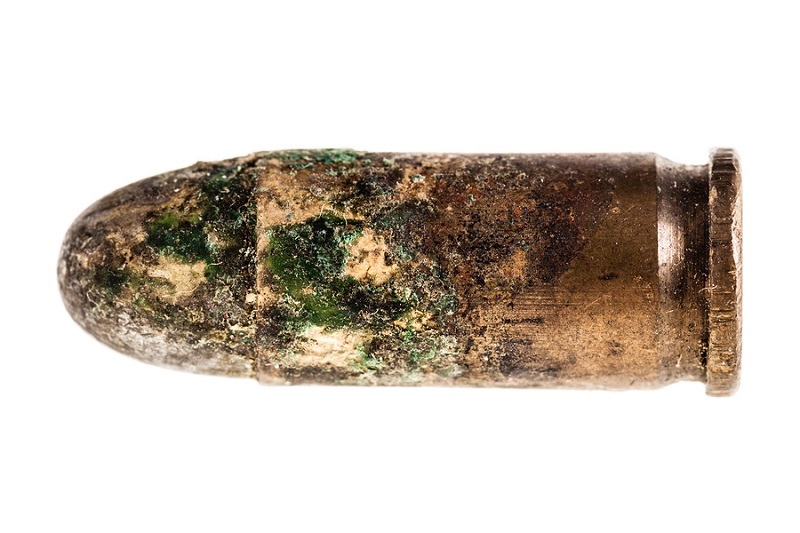 When it happens to brass or other types of ammunition casing, the result can be rust, corrosion, or at the very least a deactivated primer. 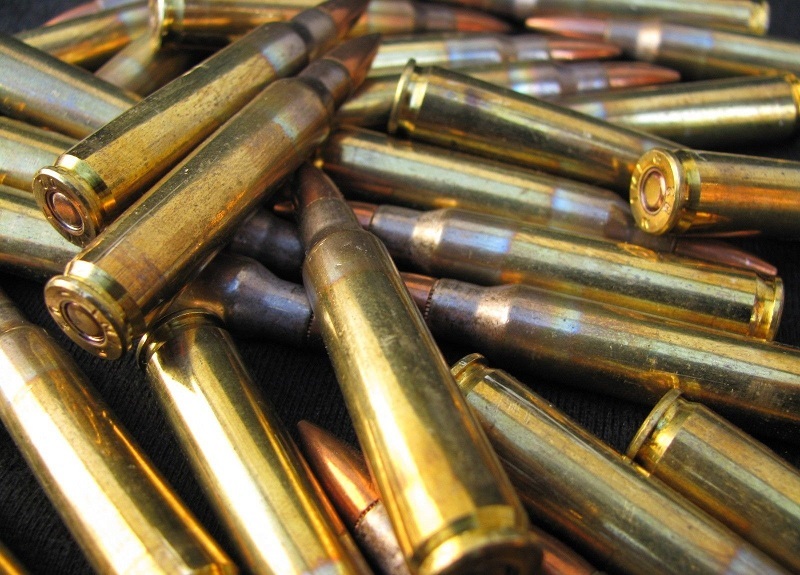 Though the shelf life of bullets is nearly forever, given the right circumstances, the person who buys the ammunition should treat it according to how it's used. There is also something to be said about rotation of ammo stores. Ammunition that's basically just for burning at the range merely needs storage in moisture-free, safe place. However, hunting rounds are another matter. If never taken afield, store normally. Rounds that have gone into the field and were subjected to any moisture at all, should be fired as soon possible, if otherwise discarded. Ammunition that's been carried in one's concealed carry gun for some time should also be occasionally expended at the range and new rounds rotated in. A number of good reasons exist for doing so - exposure to the elements, indentations from the feed ramp, excess lubrication if present can all negatively impact carry ammunition. It's a good idea to shoot the rounds one carries a few times a year to rotate it out. Besides, you should practice with carry rounds - that way you know how they perform compared to hardball.